Having a well organized, well lit work area will make you a better fly tier. The warm water edition of the Tenkara Angler! 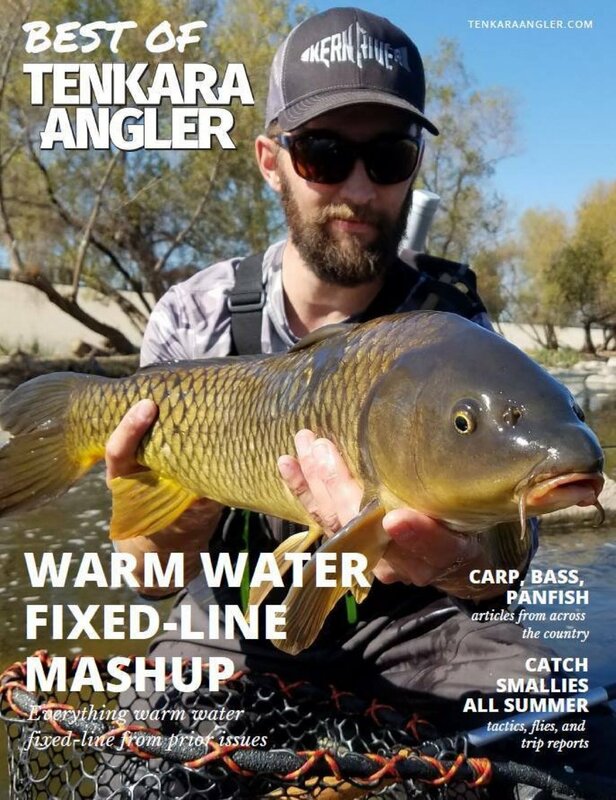 Tenkara Angler Magazine is a free quarterly publication that chronicles the tenkara & fixed-line fly fishing community through entries about lifestyle, destination, tactics, gear, art, photography, and creative essay. Recently they have compiled a “Best Of” Edition focusing on warm water fixed line fishing. This magazine gathers the best warm water related articles and puts them all in one place for easy reading and reference. Can That Fish See You? If you can get this close to a fish chances are he knows your there! Have you ever wondered if the fish you are casting to can see you? A good friend of mine Wendell Ozefovich produced a video some years back that will answer that question for you. The image may be blurry but the message is clear. Discarded flies and monofilament needlessly kills birds if left dangling from trees. 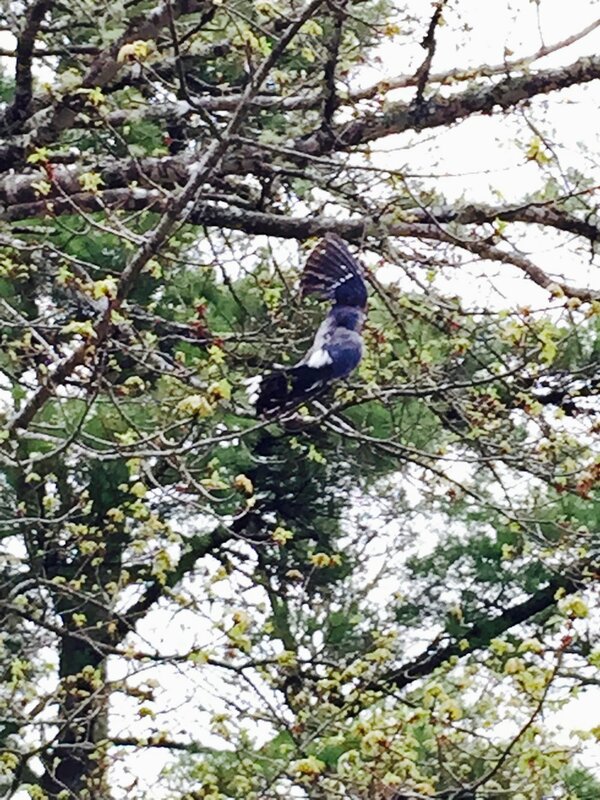 This bluejay met its end by grabbing a fly that was left hanging from a tree branch. Last week I received an e-mail from Tenkara USA with a straightforward message “Don’t leave flies behind.” I know Daniel Galhardo, the owner of Tenkara USA, personally and I know he cares deeply about the environment. The e-mail was a conservation oriented message reminding us of the impact our favorite past time can have on the environment, especially if we carelessly leave behind flies, monofilament, and other detritus during our fishing activities. It just happened to be a very timely e-mail as I have been thinking a lot about this subject lately. On a recent fishing trip, I encountered a dead waterfowl lying in the water. The bird was in an advanced state of decomposition so I could not identify the species. However, I could clearly identify its cause of death. Entangled about the bird's neck wings and legs was a mess of heavy red monofilament line. While the sight of a wasteful, tragic end to a wild animal’s life is disturbing, what disturbed me the most was that it could have been prevented. I could have prevented it! Did I leave that mono hanging from a tree? No, I did not, but I knew it was there. I had seen it on a previous fishing trip while fishing from shore. The mono could not be reached from the bank, but I thought to myself the next time I launch my kayak in that lake I would paddle over and cut it down. I have visited this lake twice with my kayak since first discovering that hanging mono. Unfortunately, I had forgotten about it and my travels on those days took me to other parts of the lake. I could not look at that dead bird without thinking I could have prevented its death. I make it a habit to clean up after other less considerate anglers whenever I cross paths with their waste. Everywhere I fish, whether it is a mountain trout stream, an ocean beach or a neighborhood pond I see the garbage left behind by others. I always carry something with me to collect as much of it as possible. In one of the storage areas of my kayak, I have a plastic box filled with mono, braid and miscellaneous rusted flies and lures I have recovered from bushes and trees along the bank. Many of these items have been found when I paddle to shore to retrieve my own errant cast from shoreline vegetation. If I was able to recover these items why couldn’t the person that put them there? Maybe they were not visible, but I suspect it is just laziness. The monofilament line, flies, lures, lead sinkers, food/water/bait containers we leave behind have a negative impact on wildlife that live in the areas we love to spend time. Take the extra effort needed to retrieve these items and if you see something left behind by someone else pick that up as well. Keep a plastic grocery bag tucked away in a vest pocket or compartment in your tackle box and make it a point to fill it by the time you head home for the day. Trust me it won’t be hard. Chances are you could fill a full-size garbage bag in many places!